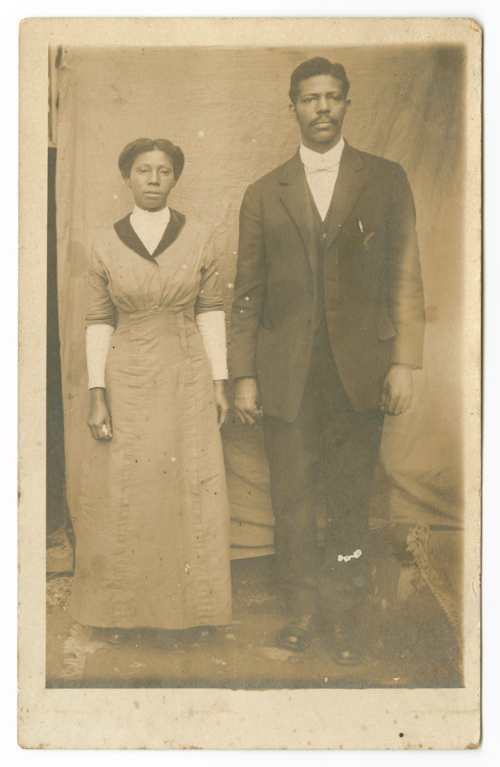 The Archive of Documentary Arts continues its monthly series highlighting work in our holdings that has been digitized. 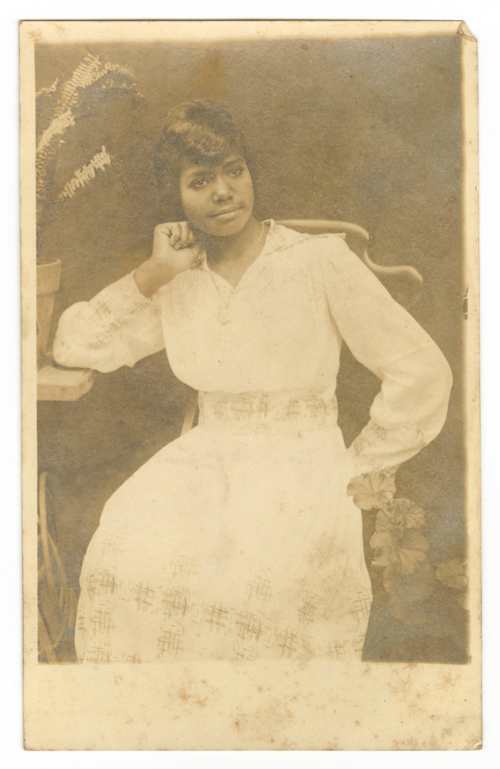 This month we are spotlighting the Michael Francis Blake Photographs, 1912-1934. 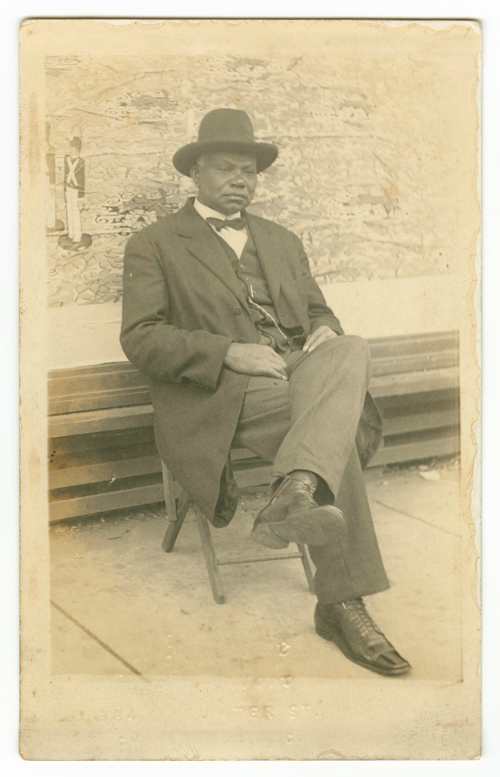 The collection includes 117 photographs of men, women, and children taken between 1912-1934 by Michael Francis Blake. 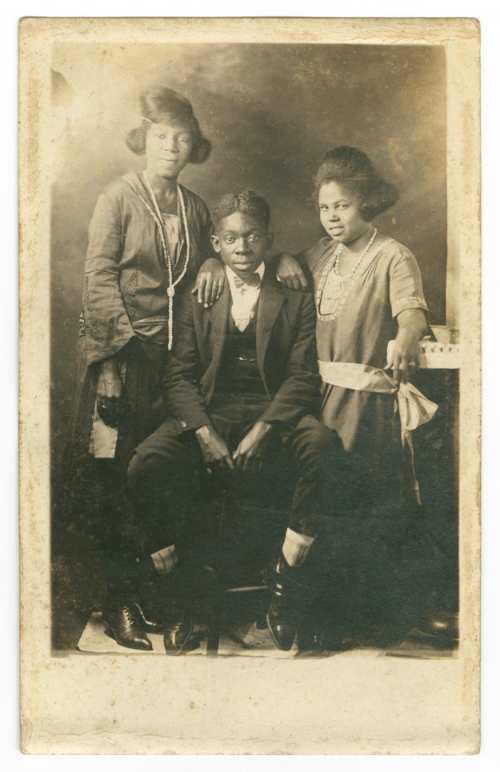 Blake opened one of the first African-American photography studios in Charleston, S.C. and the photographs represent his work from the 1910s to his death in 1934. 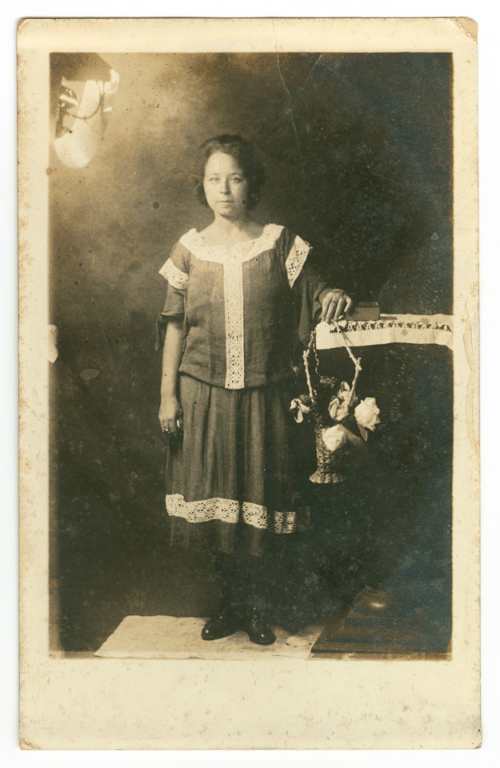 The images come from a photographic album entitled “Portraits of Members,” which might have been used by clients in the studio to select the backdrop and props they wanted in their photographs. To see more of Michael Francis Blake’s photographs, visit the library’s digital collection. Post contributed by Kirston Johnson, Moving Image Archivist, and Karen Glynn, Photography Archivist, Archive of Documentary Arts. With this post, the Archive of Documentary Arts inaugurates a monthly series highlighting work in our holdings that has been digitized. 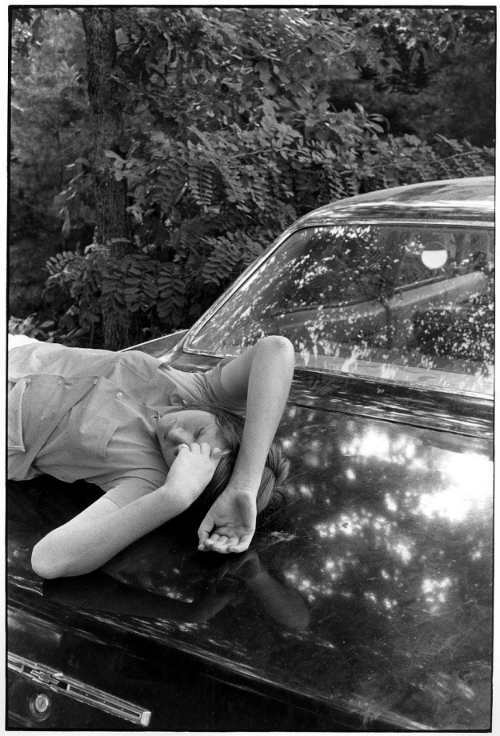 Our first post “Gedney’s Cars” celebrates the work of photographer William Gedney and his fascination with cars and people’s behavior/relationship with automobiles. 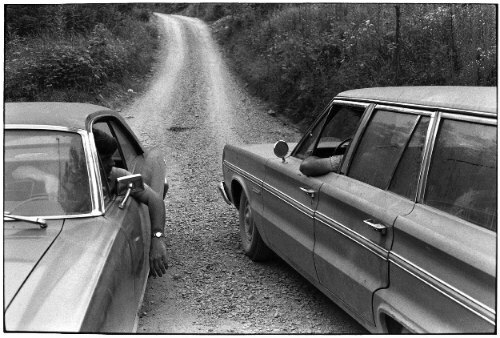 All four of the photographs below are untitled and were taken in Kentucky in 1972. 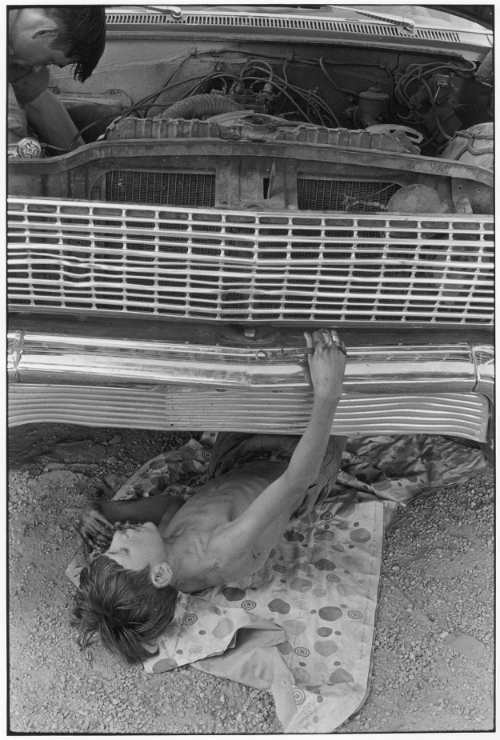 To see more of Gedney’s work in our digital collections, visit http://library.duke.edu/digitalcollections/gedney/. 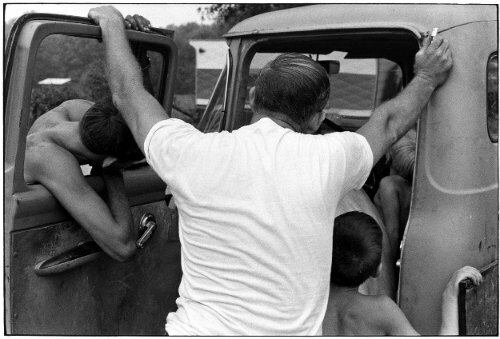 William Gedney’s life’s work is housed in the Archive of Documentary Arts. Post contributed by Karen Glynn, Photography Archivist, and Kirston Johnson, Moving Image Archivist, Archive of Documentary Arts. This is the fourth in a series highlighting film shorts from the Full Frame Archive, a collection within the Archive of Documentary Arts that preserves masters of all past winners of Durham’s Full Frame Documentary Film Festival. The Full Frame Archive has acquired 79 films since 2007 and continues to grow; DVD use copies of these films can be viewed in the Rubenstein Library reading room. The Full Frame Archive finding aid provides a complete list with descriptions, as well as titles of award-winners not yet acquired. Oil Blue opens to long shots of only sea and sky, vast and awe-inspiring. Not until after the two-minute mark does any sign of humankind appear, when a gigantic oil tanker slowly moves across the screen. Finnish film student Elli Rintala sought to make a film about the North Sea oil industry, but not a conventional documentary. “I wanted to explore the area between experimental film and documentary film.” Oil Blue won the 2009 Full Frame President’s Award for the best student film. But the strict security regulations were a challenge. 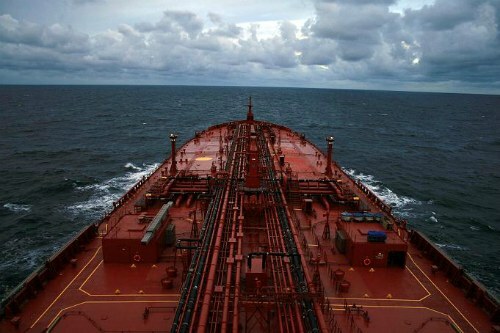 “Any electrically powered cameras or equipment were prohibited on the deck because of the danger of an explosion. So we had to use a very old spring-wound Bolex camera when shooting on the deck. . . .
Post contributed by Tanya Lee, Full Frame Archive Intern. Join us for a screening of Good Times (31 minutes, Hebrew/ Arabic/ English with English subtitles), the second film in the 2011-2012 Rights! Camera! Action! series and the winner of the 2004 Full Frame Jury Award for Best Short. Good Times was shot in Abu Dis, a small Palestinian village divided in two by a wall built by the Israeli government. The film follows the villagers’ lives before the wall was built and through the construction of a temporary, then a permanent, wall. Moving in colliding microcosms, the inhabitants of the village and the Israeli soldiers protecting the border create an absurd routine of mutual respect and resentment. Following the film, students from Duke’s BorderWork(s) Humanities Lab will give a presentation on their work this semester. The screening is free and open to the public, and free popcorn will be provided! The Rights! Camera! Action! film series, which is sponsored by the Archive for Human Rights, the Archive of Documentary Arts, the Duke Human Rights Center, the Franklin Humanities Institute, and Screen/Society at Duke’s Arts of the Moving Image Program, features documentaries on human rights themes that were award winners at the annual Full Frame Documentary Film Festival. The films are archived at the Rubenstein Library, where they form part of a rich and expanding collection of human rights materials. 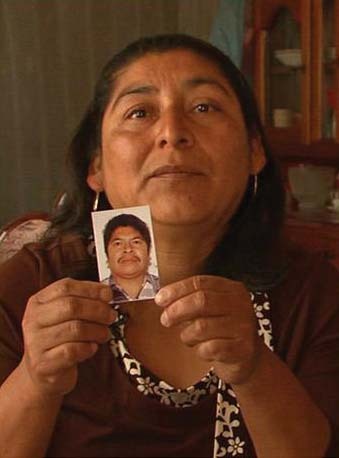 This screening is also co-sponsored by the BorderWork(s) Humanities Lab at the Franklin Humanities Institute. The fourth season of the popular Rights! Camera! Action! 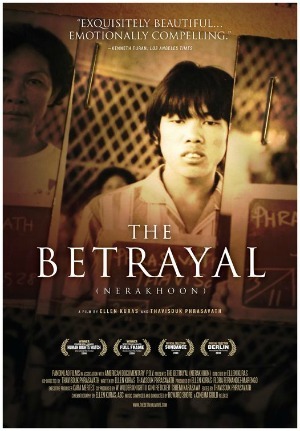 film series begins with The Betrayal (Nerakhoon), winner of the Spectrum Award at the 2008 Full Frame Documentary Film Festival. A discussion with co-director Thavisouk Phrasavath will follow the film. 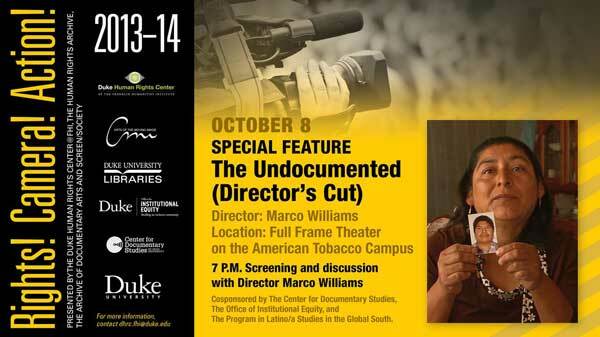 The screening is co-sponsored by the Kenan Institute for Ethics and Duke’s 2012 Winter Forum. The Rights! Camera! Action! film series, which is sponsored by the Archive for Human Rights, the Archive of Documentary Arts, the Duke Human Rights Center, the Franklin Humanities Institute, and Screen/Society at Duke’s Arts of the Moving Image Program, features documentaries on human rights themes that were award winners at the annual Full Frame Documentary Film Festival. The films are archived at the RBMSCL, where they form part of a rich and expanding collection of human rights materials.